UNSW Sydney scientists have developed a world-first, graphene-based, laboratory-scale filter that can remove more than 99% of the ubiquitous natural organic matter left behind during conventional treatment of drinking water. 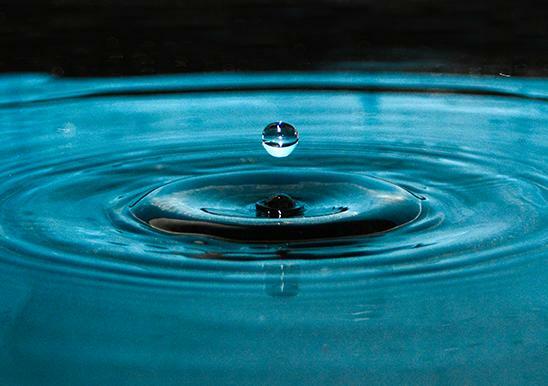 In a research collaboration with Sydney Water, the team has demonstrated the success of the approach in laboratory tests on filtered water from the Nepean Water Filtration Plant in western Sydney, and is working to scale up the new technology. The results of some of the ground-breaking research are published in the journal Carbon. The project is led by Dr Rakesh Joshi of the UNSW School of Materials Science and Engineering, in collaboration with Professor Veena Sahajwalla and Professor Vicki Chen of UNSW, and Dr Heriberto Bustamante of Sydney Water. "Our advance is to use filters based on graphene – an extremely thin form of carbon. No other filtration method has come close to removing 99% of natural organic matter from water at low pressure," Dr Joshi said. "Our results indicate that graphene-based membranes could be converted into an alternative new option that could in the future be retrofitted in conventional water treatment plants." Sydney Water supplies clean water to about 4.8 million people in Sydney, the Illawarra and the Blue Mountains. These natural organic matter contaminants can affect the performance of direct filtration plants, reducing their capacity after heavy rain. "The most common methods used at present to remove organic matter from water supplies include the application of chemical coagulants," said Dr Bustamante. "However, these existing treatments are only partly effective, particularly as the concentration of natural organic matter is increasing." Dr Joshi said: "The new treatment system is made by converting naturally occurring graphite into graphene oxide membranes that allow high water flow at atmospheric pressure, while removing virtually all of the organic matter." Dr Joshi has an international reputation in this area, having published many highly cited articles including one in the journal Science on graphene oxide-based filtration in 2014 while working at the University of Manchester with Nobel Laureate Sir Andre Geim. The UNSW team is upgrading the experimental rig to construct a small pilot plant that could be tested in the field.